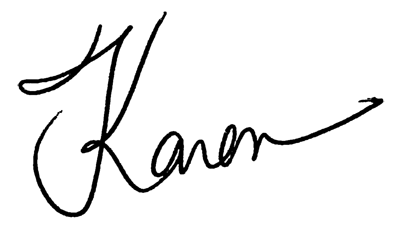 Hello, I'm Karen M. Black, a Canadian writer, Truth-Seeker and Heart Explorer. Back to the Water, a daughter's tale of truth, love and letting go (an intimate memoir coming in early 2018). 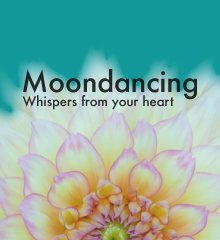 For wonderful fellow Heart Explorers around the globe, I also offer the free inspirational e-newsletter Moondancing. Through Moondancing, I share my own stories to help others see their own life with new eyes... and trust themselves along the way. I grew up in small town Ontario, Canada on beautiful Georgian Bay. I attended the University of Toronto twice. Did my Bachelors in Biology and English. Then later, I earned my MBA at the Rotman School of Management in Toronto. My most recent full-time job was as a senior communication consultant at a Canadian actuarial firm. Different from this style of writing, huh? Since 2006, I've been freelance. Emphasis on FREE. I've been curious about the unseen as long as I can remember. When I was 10, I found my mom's book Life After Life by American physician, Dr. Raymond Moody. I ate it up and wanted more! I begged my folks to watch Rod Serling's Twilight Zone, and tested their patience as I played the Ouija Board each day after school. I don't play Ouija any more because it scared the bejeesus outta me. But before I stopped, I did get a lovely message from my grandfather, plus some information about my family that even my mother didn't know. So I sincerely believe there's something beyond our five senses. Early on in my life, I thought I had life all planned out. But life served up some painful surprises that compelled me to look more deeply. Sound familiar? With questions about my life mounting, I participated in a five-day spiritual retreat The Trust Program, which was a turning point for me. 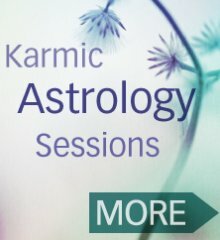 At this powerful retreat, I embraced my sincere belief in reincarnation and decided to study karmic astrology. And quietly on the weekends, I began to write. At first, just for me. In 2008, I published Moondance to document my journey and in 2008 and 2009, it won a few indie awards. Feeling encouraged, I decided to continue writing from the heart. But I was challenged on how to get the word out. I knew people liked the book. But how would the right readers find me? knowing nothing about the web. Not only that, but I realized something. Sure, I could build a blog. But having a blog doesn’t guarantee traffic. And to be honest, I find blogs a frikin nightmare to navigate!! After a great deal of research (and some false starts), I found SiteSell, for do-it-yourselfers. I liked it because because it helps you build not just a site, but a business with real traffic. For me, it was an affordable way that me (a web newbie) could get into the game. Soon I discovered that there was not only technical information, but community and easy to understand marketing advice and support that is second to none. I've been with them now for seven years. I'll never leave. They're the real deal for me... and nice, helpful people to boot. After a great deal of concept and keyword research (following Site Sell's step-by-step Action Guide, which is excellent), I launched my very first niche site The (now retired) Soulmate Site. You see, spiritual awakening, soulmates, reincarnation and past lives were themes in my book Moondance. So I figured...if folks were searching online about soulmates or reincarnation, they might also consider buying the book (and I was right). Over time, I began writing keyword-optimized articles (SiteSell taught me how to do this) that brought in traffic right away and and year after year. I mined my own questions about myself, and tied the themes back to my book. A year in, I had over 2,000 targeted visitors a day and a couple of years later, 5,000 people on my newsletter list. And this was working on the site part-time (sometimes neglecting it for months) and not spending a dime on advertising! In 2017, I was getting ready to publish my second book and decided to move my most popular articles from The Soulmate Site to my permanent author site Heart Explorations (the one you're on now). I centralized my work because Heart Explorations really captures the whole shebang. The spiritual awakening journey and its many unfolding levels... including the soulmate question. I still use Site Sell's wonderful SoloBuildIt system for this site because I've had great results with it and trust the people that run it and the information it provides. And as a highly detailed recovering perfectionist (and MBA) I hope that says something, if you're curious. 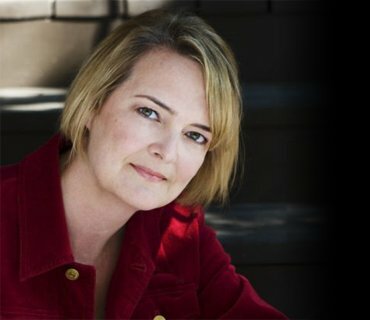 In addition to writing from the heart, I also offer writing and consulting services from Extra Sensory Selling. My specialty is in plain language writing and consulting (mostly) supporting other consulting firms. Plus direct response copywriting for direct marketing clients in the financial, B2B and information marketing industries. Are you a Heart Explorer? I've spent many years on a spiritual awakening journey, actively seeking and finding ways to live a free and inspired life. Not everyone will have to go as deep as me, or even travel the same roads. And by keeping this site available to the public, I hope that the folks who land here will deepen their own unique path and perhaps, feel less alone on the journey. I hope that within these pages, you'll find something that stirs your soul, sparks your imagination and encourages you to create the free and inspired life you want. Always stay curious. Thanks for visiting.